Gorgeous Bow River views from this corner home; huge window walls make this space feel larger as your sight line extends out towards nature. An impressive chef's kitchen with quartz countertops and high-end 5-burner gas cooktop, wall oven and dual refrigerators integrated with the pantry wall. The bedrooms are split apart with the living space in the middle with dark hardwood floor uniting these open spaces, the engineered hardwood floors also connect into the den. Avenue is one of the only buildings which offers central humidity to help keep the floors in great shape and puts moisture in the air. The master ensuite bathrooms has heated floors, a soaker tub and gorgeous frame-less glass shower with a quartz niche for soaps. The double vanity appears to float and there's excellent storage in the mirrored cabinets above. 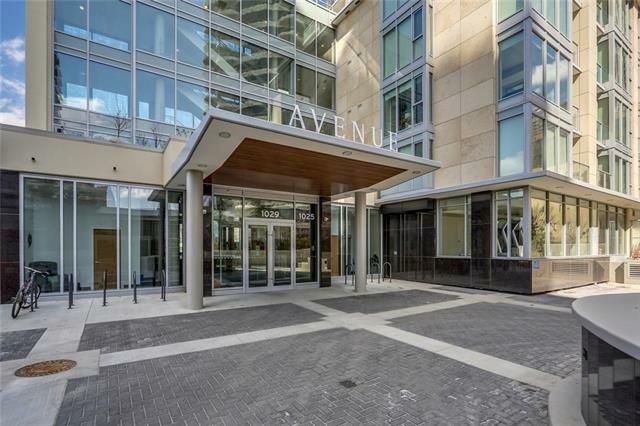 Avenue offers a fitness center, porte-cochre and concierge service to help with packages and other services.